Learn this beautiful technique and create an envelope style pillow. 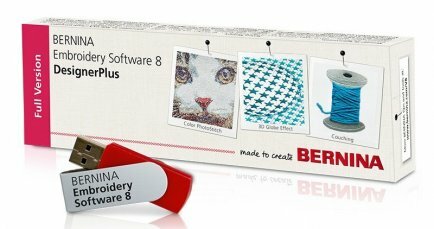 BERNINA’s best software yet! No dongle! Learn more about V8 here and download a 30 day free trial of V8 soon here. Love embroidery? We do too! 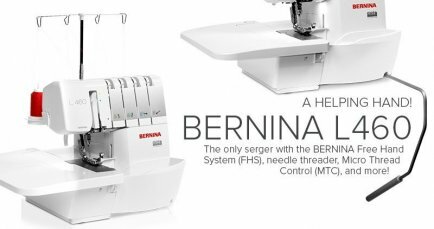 The BERNINA 700 is made exclusively for embroidery. It is the perfect machine for those who want a machine dedicated to embroidery. Already have a module with your current machine? 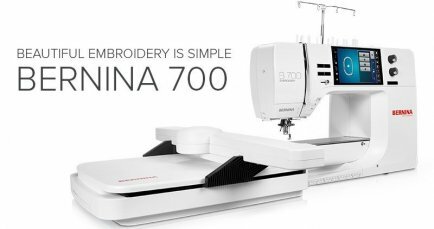 Ask us about using your existing module with the 700 and utilize both machines for embroidery and sewing. Serger love. L460 is here! The L450 released just last month is one of our new favorite machines. The L460 has been in the works for a number of years and will be coming soon! We are excited try out this new machine with the Free Hand System (FHS), needle threader, and more!